1. What are your first thoughts about Sarai (or Sarah)? MacArthur’s first impressions of Sarah are obvious within the writing…but I like to draw my own conclusions about an individual. Although extremely beautiful, growing up Sarah may have developed a bit of humility – driving such steadfast faithfulness to Abraham. On the other hand, she may have been a spoiled, temperamental woman, based on the way she suggested and then dealt with her maid Hagar. Either way, I feel ridiculous calling her anything other than what God tells us she is: devoted, faithful and hopeful, remaining warm-hearted despite her tribulations. 2. We first discover Sarah when she was 65 years old. At that time she was beautiful but had no children. Why was it so important that a woman have children? You wanna know what I wrote down when I was answering questions? “How the heck am I supposed to answer that?” I’m taking the easy way out. Other than inevitable biological reasons, I won’t answer this question. The fact is, I never want to experience pregnancy or give birth to a child (adoption would be fantastic). I’m upset just thinking about it. And I know everyone says, “You’ll change your mind when you’re older,” or “Oh, I used to think that too.” No. That really just upsets me further because you don’t understand how desperately I never want it to happen. I have no remorse for the fact that I don’t want to either. Then things start getting really depressing because it’s supposedly the one finite thing God put women on the earth to do (which I also find depressing, but that’s another story). It’s undeniable that it is our responsibility to further the human race. Regardless of all that, I still don’t want to. I feel positively horrible because I sincerely never want to undergo the one thing I’m meant to do, and I feel selfish and abhorrent for being so unwanted of God’s purpose. That makes me sad, deeply sorrowful, but it still doesn’t change the way I feel. 3. Review the material on pages 28-29. List Sarah’s strengths and weaknesses. Now list your strengths and weaknesses. In what ways are you and Sarah similar? In what ways are you different? Again, I thought this question was a bit unfair, since what we’re supposed to base Sarah’s strengths and weaknesses off of is what MacArthur’s opinions are. He may have thoroughly researched and made intelligent observations to determine her personality…but still. I listed Sarah’s strengths as: beauty (which ofttimes can be a weakness, but I thought hers would be a strength), faith, steadfastness, deep affection, sincerity, and hope. Her weaknesses as: her barren-ness (making her rash and desperate), bitterness and other shortcomings (possibly with Hagar?). Feel free to criticize or throw in some input; I listed my strengths as: hopeful, good-humored, optimism, patience, and faith. My weaknesses as: meekness, doubt, anger, harshness, and jealousy. I like to think that I’m capable of Sarah’s patience, and I think I would be a bit jealous of someone capable of something I desired with my whole heart. I think I’m different from Sarah – and perhaps it’s just a cultural difference – in that I don’t think I could ever, ever ask my husband and another woman to conceive a child together. Period. 4. Because she was childless, Sarah is characterized as frustrated and resentful. When you don’t get what you expect, what words can be used to characterize the way you act? Is this a good thing or a bad thing? Explain your response. It all depends on the situation. Disappointment. Surprise. Utilize (I’ll try to make the most of it). Thankful/humility. Overwhelmed. Draw your own conclusions. 5. Sarah’s actions reveal that she was totally devoted to her husband. Your life reveals the people and/or things to which you are totally devoted. What does your life say is important to you? I would hope that my actions and company would say that I’m devoted to God. I know that His presence in my life should be even more substantial and continue to increase. Family, friends, Michael, PAS, books and education are more noticeable components of my life. 6. In spite of her year of childlessness, Sarah remained confident that God would do what He promised to do. Your life is characterized by hope. For what are you hoping? How confident are you that God will do what you expect? I hope for a life fulfilling God while simultaneously doing what I love. Should I really be expecting something from God? Only guidance – which I have no doubt He’ll provide if I seek it. I only hope that I follow it the way He wishes. 7. Read Genesis 17:20-21. How do you think Sarah felt when she heard these words? 8. What was significant about Sarah’s laughter in Genesis 18:15? How important is it that we be honest with God? In my opinion it showed that despite her temper and struggles with discouragement, Sarah was able to remain an essentially good-humored woman. To me, this is paramount; her heart didn’t harden. What does it say that she denied it, and later admitted to her laughter? It’s incredibly important to be honest with God – He knows your heart so it’s pointless to hide. So really if you’re being dishonest, it’s only being dishonest, and hurting yourself. We can move forward when we’re honest. 9. What life principles did you learn from the study of Sarah’s life? How will you apply these principles to your life? Don’t take matters, especially what God has promised, into your own hands. Be prayerful in everything. Don’t let your heart be hardened. Read scripture. How do you think these can be applied? Wife of Abraham, Sarah is a woman whose hope endured. Originally Sarai (meaning ‘my princess’), she was extremely beautiful and extremely barren. Sarah’s beauty tempted most men, kings and lowborn alike. Scripture does not introduce us to Sarah until her 65th year, and Abraham still feared that Egyptian pharaohs would injure him to take Sarah for their own. MacArthur calls her self-centered, unreasonable, whiny, pouty and temperamental…among other things. It’s possible that she may have become vain and spoiled, knowing her tremendous beauty. As for her husband, Abraham was called to serve the Lord in a time when true believers were scattered in a world of paganism. God promised Abraham that he would father a great nation to be His witness to the world. That sounds like a lot pressure for a woman, certainly for one who was barren. As God made promises with Abraham, he was called into a land reserved for himself and his descendants. Along the way, at Abraham’s suggestion, Sarah and Abraham posed as siblings (a half-truth), to prevent the pharaoh from hurting Abraham (mentioned earlier). Sarah was extremely devoted to her husband, and is recognized for her commitment, as she stood by him even in his mistakes. God found this devotion commendable. Alas, I am not Sarah. What did she do? Take matters into her own hands by bringing Abraham to her maid, Hagar. According to the author, tensions in the Middle East that are seen today can be traced to Sarah’s “foolhardy ploy to try to concoct a man-made solution to her dilemma.” This was the first recorded case of polygamy in Scripture involving a righteous man, but neither was it the last. MacArthur lists several examples throughout the Bible, and each situation exacts its own consequences. Soon, Hagar gave birth to Ishmael. Yet, God renewed His promise with Abraham and Sarah once more, providing a timeline and a name for their promised son: Isaac (Gen. 17:15-21). Sarah is present when God verbalizes His covenant this time, and at the assurance of Isaac, she laughs within herself. “Despite her temper and struggles with discouragement, Sarah remained an essentially good-humored woman.” Wow. A couple years down the road, Ishmael ridicules Isaac, for some unknown reason. Nevertheless, it was enough to set Sarah off and she banishes Ishmael and Hagar. Abraham loved his firstborn son, but God reaffirmed Sarah’s demand. Paul further explains in Galatians 4:24-30. 6. In spite of her years of childlessness, Sarah remained confident that God would do what He promised to do. Your life is characterized by hope. For what are you hoping? 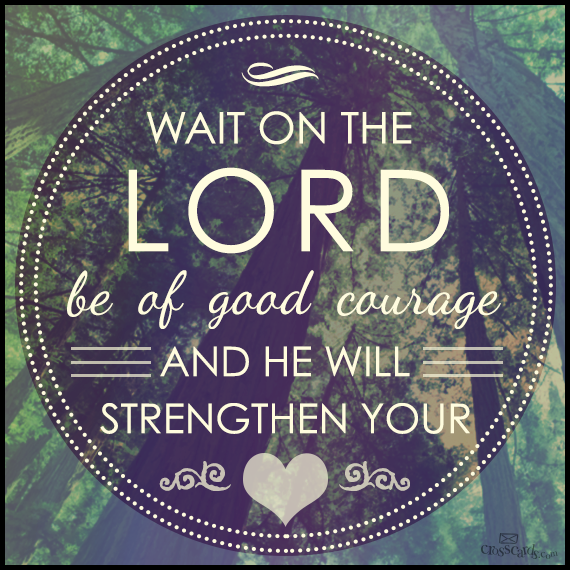 How confident are you that God will do what you expect? I’ll try to keep from running too wild, as I know the questions from this chapter will make for a lengthy post. 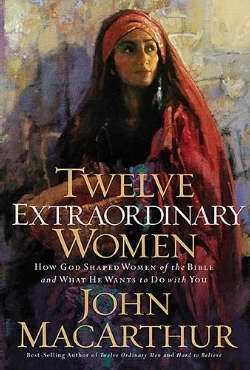 If you’re not up to speed, I began delving into the book Twelve Extraordinary Women by John MacArthur. Questions from the chapter of Eve are listed under Eve, Part I. I sincerely hope you join in the discussion, leave comments or do some provoking – regardless of your beliefs. It’s what gets it going – makes it interesting! I will say, however, that I may skimp on my answers since I’m writing this at work. 1. MacArthur begins noting that Eve is distinguished because, “No other woman has come unfallen into a curse-free world, no other woman could possibly surpass Eve’s grace, charm, virtue, ingenuity, intelligence, wit and pure innocence.” What a home-wrecker. Am I right ladies? Way to do a number for your self-esteem. But in all seriousness I think this is exactly why God created her. Don’t get too down on yourself. If it wasn’t for Eve’s sin, the rest of us would no doubt be equal to her virtues. The beauty of that original woman is shown through us because of God’s grace. No effort on our part can ever compare to what grace does for us, “which comes from the sovereign will of God.” In other words, celebrate being the most wonderfully-created thing in the entire universe. At least that’s what I’m gonna tell myself. 2. The role of Adam in the creation of Eve stresses again the goodness of God’s grace. It is always received, and never a part of our own efforts. He was put into a slumber as to not interfere. Voddie Bauchman explains the creation and fundamentality of men and women in such a way that I was able to look past the ‘roles’ of men and women and be hypnotized by a love story. Many people need to read this book and hear Bauchman’s sermon to understand what marriage is, because SO many people have the wrong perception. Where it gets hard for me is Eve’s purpose. Although Adam and Eve are completely equal, MacArthur notes in the book that Eve was created to be a helper. Adam was first; Eve filled a void. I’m not power-hungry, I don’t want to be in control all the time and I’m perfectly happy sharing every part of the decision making process. But for the life of me, I cannot find my maternal and nurturing side. I could write for hours on this topic, so I’ll spare you. Shoot, email me if you want me to go further. What I do find spectacular: Eve is completely and utterly unselfish. She is the epitome of “Living to Serve”, through God, her husband, and all of mankind. 3. If you read the scripture in Matthew, you know that Jesus says, “Be joined together as one flesh.” Adam and Eve are literally one flesh. That is the basis of all marriage. Eve came from the rib, not to rule or be ruled, but close to the heart to be beloved. True, lasting marriages understand that marriage is a partnership between themselves – as one entity – and God. 4. Eve is Adam’s peer both spiritually and intellectually. They differ in strength and physical attributes, as well as socially, emotionally and psychologically. These differences play into their individual roles. Going back to what I can’t wrap my mind around: that Eve is subordinate but equal. MacArthur makes the allusion to the Holy Trinity. The Son is equal to the Father, but takes on a subordinate role. I’m still confronting my issues, but being compared to Jesus makes it a bit better. 5. I referred to the ‘subordinate, but equal’ statement in my previous answer. And hopefully that comparison to the Trinity makes a good explanation. As I was writing notes for the questions I stopped when I tried thinking of ways to apply it to my life. My notes actually read, “Who the heck knows.” Depending on the day that’s probably how I would still answer that question. However, I’ll focus less on the role distinctions and say that I plan on using Eve’s influence of total selflessness in my every day routine. Needless to say, I’m still working on that too. 6. When I’m tempted by sin it usually spreads. I’ll influence my brothers and best friends. All around a bad deal, and I’m ashamed for being a bad role model. In a similar way, Eve shared her temptation with Adam. I’m tempted when I question the Word of God. Finding contradictions (not necessarily within the text). Having intellectual discussions that I love so much, that instigates and causes you to think for yourself. The whole of which can be related back to confusion. Like Eve with the apple. She was deceived through partial truths, lies and naivety. Adam’s sin was deliberate in a way that Eve’s was not (she was deceived). 7. The most effective way to defend against temptation that I have found, and think I ever will find, is reading His Word daily. Reading my Bible on a daily basis is something that I struggle with – much like my exercising or eating healthy – but it by far is the most beneficial remedy for anything I can think of. Don’t believe me? Go try for yourself. 8. The most important relationships for Eve (aside from the one with God) were her with her husband and children. In my notes I asked, “What are these relationships for a man?” If they were the focus of Eve’s curse, what significance do the hold with men, and why should (or shouldn’t) they differ? In Genesis 3:15, as Eve is cursed in childbearing, that scripture is often referred to as Protevangelium or “the first gospel”. Look up aligning scripture in Romans 16:20, Hebrews 2:14 and John 3:8. It is said that Eve’s species will be saved in childbearing. “He has come from the womb.” “Next will come from the belly of the earth…woe to you who bear children.” An incredible amount of parallelism throughout scripture. 9. This is the only question on which I didn’t write notes. I find distinct principles throughout my previous answers: the importance and true meaning of marriage, living with complete selflessness and consistently defending myself against temptation through daily scripture. I still have to confront my issues with subordination, but I have no doubt that everything will fall into place. Let me know what you think. Are there certain questions that you answered? Topics you flipped over in your mind? A new perspective that you have from delving into Eve’s story? 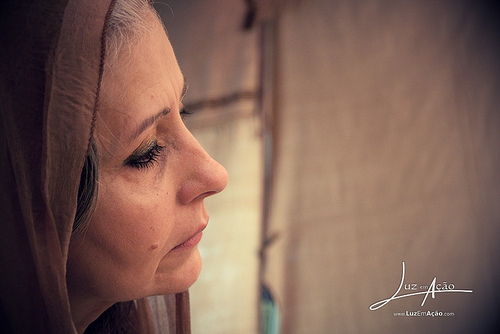 In the next chapter MacArthur delves into the life of Sarah, Abraham’s wife. Hoping Against Hope. Check out Hebrews if you want to get a head start or go ahead and read the chapter! John MacArthur takes the audience through each period of Eve’s life: creation, temptation, humiliation, and expectation. Her creation obviously set the stage for role distinctions. The hard part for me was coming to terms with the fact that women are subordinate to men. STOP! (Did she just say what I think she said?) Yes. Yes, I did. BUT! Women are still equal to men. Hard concept to grasp. I was literally staring at the pages for a good hour with tears rolling down my cheecks because this idea was just absurd to me (and I’m not a crier). Not only was it absurd, but I had to believe that it’s true because God’s Word is all or nothing. MacArthur parallels it to the relationship between Jesus and God. Don’t think this is the first time I’ve thought this through, and don’t abandon ship yet. More on this in the next part of Eve’s chapter… Starting to realize why I split it up aren’t you? 1. What distinguishes Eve from all other women? Why did God create her? 2. The way Eve was created speaks fundamental equality with Adam (see…?). What does this mean to you? How do you understand the duty and role of women? 3. Read Matthew 19:4-6. What did Jesus say about the relationship between men and women and what does that mean today? 4. In what ways was Eve a peer to Adam? In what ways were they different? What does this say about the marriage relationship today? 5. On page 7, John MacArthur says the wife is “subordinate, yet equal” to the husband. What does this mean and how can this be a reality in your life? 6. Read Genesis 3:1-7. In what ways is your temptation similar to Eve’s temptation? What process does Satan use to tempt you? 7. How can your personal Bible study help defend yourself against temptation? 8. The two most important relationships to a woman were the focus of the curse as a result of Eve’s sin. What were these relationships and how important are these relationships to you? 9. What life principles did you learn from the study of Eve’s life? How will you apply these principles to Eve’s life? Remember that all the study questions are drawn directly from MacArthur’s book. I look forward to hearing what you think! I’ve had this idea for a few weeks now and am trying to find the time for it. I usually go home on weekends, and when I do, absolutely nothing productive happens. Except for maybe my laundry. Since I decided to stay in Maryville this weekend, I figured when would be a better time to start? Due to the fact there are so few people my age that sincerely want to increase their faith and know about the Word of God, I’ve never really been involved with a great Bible study group. The few times I have, participation was low and it didn’t last for long. In one of my many efforts to gain popularity in cyberspace (which I find quite ironic), I thought discussion about certain books would help strengthen fellowship for people my age, not to mention fit in nicely with the theme of this blog. Other books I’ve been wanting to add to my “Sunday” list are Red Letters, by Tom Davis, The Stranger on the Road to Emmaus, by John R. Cross (also recommended by the lovely Diann Barnes), and I Am Not But I Know I Am, by Louie Giglio, just to name a few. What books would you like me to add to this list? 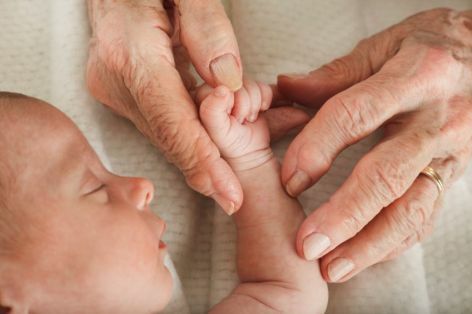 I would LOVE it if you would join me in these discussions – no matter how old you are!